OLYMPIA – Three weeks after a teenage girl was killed trying to cross U.S. Highway 195 from Cheney-Spokane Road, two local lawmakers Monday introduced legislation to pay for work to improve the intersection. “With the community coming together to support this, I think we can address this clear safety hazard,” Rep. John Driscoll, D-Spokane, said in a statement announcing the legislation. House Bill 2225 would pay for a new right-turn lane at the intersection for cars turning from the highway onto Cheney-Spokane Road. That, the lawmakers say, would allow more visibility for vehicles turning left onto the highway. Last year, state Sen. Chris Marr, D-Spokane, had asked transportation budget writers for $12.5 million to revamp that section of road. He said Monday that he will make the same request this year. In five years, there have been 27 collisions at the intersection, lawmakers said. Both Parker and Driscoll went to Cheney last Tuesday to attend an emotional public meeting about the problem. A public hearing on the House proposal is slated for March 16. But in Olympia, where base hits can win a game, local legislators are pushing ahead on several fronts to keep construction moving ahead. Gov. Chris Gregoire has proposed spending another $15 million on the 10.3-mile freeway as part of a state-funded stimulus plan. And although the state got far less than hoped for in the federal version, local lawmakers nonetheless hope to tap another $40 million for the project from the federal plan. “I’ve followed this project my whole life,” said state Rep. John Driscoll, D-Spokane. Some local lawmakers are hoping to increase the project’s visibility in Olympia by showing dramatic savings. Sens. Chris Marr and Lisa Brown, both D-Spokane, last month proposed trimming a $730 million plan for three miles of freeway running from Francis Avenue to the Spokane River. The new cost: $370 million. Marr hopes that sort of cost savings persuades lawmakers to free up more money for the project. A top priority, he said, is getting $38 million to pay for the engineering work on that three-mile stretch. That would set it up well for a second-round stimulus package that Congress is already talking about – or money from the federal highway trust fund. “When those dollars begin to flow in, this project needs to be in a position to receive those funds,” Marr said. The federal stimulus plan approved by Congress includes about $500 million for Washington’s roads, highways and bridges. But much of that is slated for local transportation agencies, leaving the state about $350 million, Marr said. And the local agencies have made it clear that they’ll spend the money on local needs rather than state projects, he said. Another strategy comes from newly elected Rep. Matt Shea, R-Mead, who wants to rewrite state law to explicitly guarantee the corridor project a slice of state tax dollars. 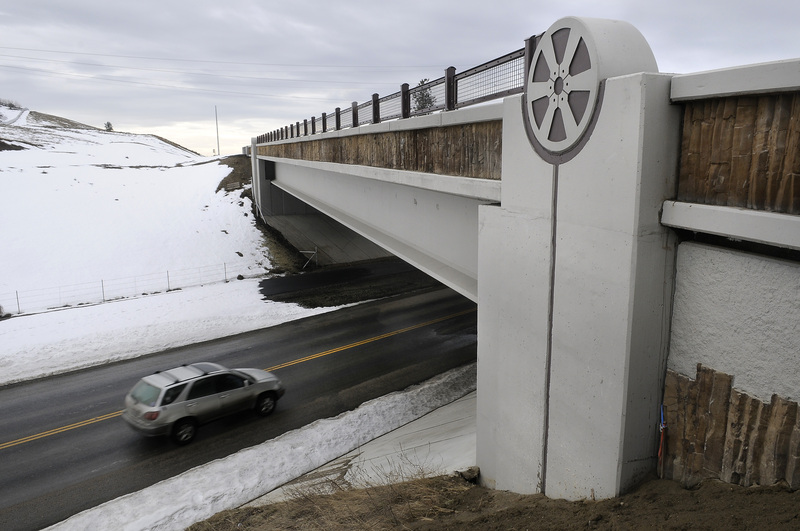 In what apparently was a gentleman’s agreement that never made into the law, legislators years ago agreed to divide a certain category of funding for two Western Washington highways and the North Spokane Corridor. With one of the West Side projects done and another delayed by environmental concerns, Shea says, it’s time for the Spokane project to get that money. Shea says it would mean $14.5 million immediately, plus $70 million in bonds over next few years. Marr, however, says that Shea’s approach is unlikely to work. Over the years, he said, state budget writers have put far more into the North Spokane Corridor than it would have gotten under the plan laid out in Shea’s bill. Shea acknowledges that his plan is a long shot. His predecessor, former state Rep. Lynn Schindler, unsuccessfully tried the same tactic. No hearing has been scheduled on Shea’s bill. Shea also noted that the federal stimulus bill includes $1.5 billion for transportation projects of national or major regional significance. He wants state officials to try to tap into that money as well.